Della was born on a ranch in North Fork, Nevada. Widowed when her husband Bob died at a young age, Della raised their two boys while working as a nurse at Elko General Hospital. She helped found Elko’s Cowboy Poetry Gathering. Her poems of ranch life reflected her own experiences. Della raised a clear voice for ranch women whose work may have been behind the scenes, but was nonetheless essential. She passed away in 2001 and friends of Della’s established this scholarship in her name to recognize and support the attendance of women poets with similar ranching backgrounds. Reno Rodeo is a 10-day event that began in 1919 and is a PRCA (Professional Rodeo Cowboys Association) sanctioned sporting event. In 1986, the Reno Rodeo established the Reno Rodeo Foundation as the giving arm of the Reno Rodeo and have since donated over $5.1 million to educational scholarships, special children's charities, high school rodeo programs, literacy programs, Marvin Picollo School Therapeutic Equestrian program and the Kids Kampus Activity Center located at the Kids Kottage. In honor of the 100-year celebration of the Reno Rodeo, this scholarship helps to bring an emerging poet or musician to the National Cowboy Poetry Gathering. The Agins family began this Best known as a cowboy folksinger and poet, Singin’ Sam Agins dedicated his life to the preservation of the songs, stories, humor, poetry and crafts that define the cowboy and the American West. Agins, who passed away in 1996, was a long-time performer at dude ranches, folk festivals, cowboy poetry gatherings and other venues. His wife, Frederica Agins, began this scholarship to honor him. The Agins family continues this scholarship to honor Sam and Frederica, helping to bring a younger poet or musician to the National Cowboy Poetry Gathering each year. Buck Ramsey was a cowboy, poet, writer and musician who performed at cowboy poetry events around the county. As a youngster, Buck performed with his siblings and parents, David Melvin and Pearl Lee (Williams) Ramsey, as a gospel singing group around the Panhandle of Texas. 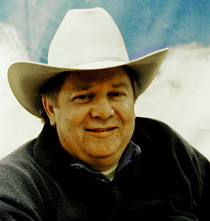 In 1995 he was presented the National Heritage Master Artist Award and he received the Lifetime Achievement & Best Poetry Book awards by the Academy of Western Artists and the American Cowboy Culture Award for music in 1996. This scholarship brings Texas- influenced talent to the National Cowboy Poetry Gathering. Elko native Rod McQueary wrote poetry regarding ranch life that ranged from cleverly subtle to gut-busting hilarious. 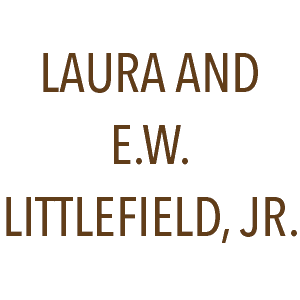 Married for 18 years, Rod and Sue Wallis were both raised on ranches and wrote based on their personal experiences. They were involved with the National Cowboy Poetry Gathering from its earliest days. The future of the Gathering is ensured by bringing more talented young people aboard to preserve and perpetuate ranch culture. Scholarships are adjudicated and administered by the Western Folklife Center. Gifts in any amount made to the Western Folklife Center are gladly accepted to all scholarships, helping to supplement the donor’s generosity to support poets, writers and reciters at the Gathering for years to come. 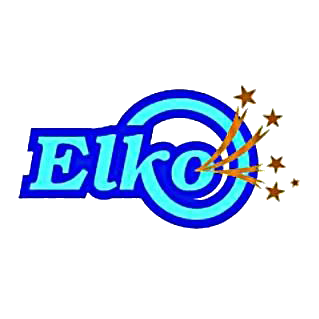 The Western Folklife Center is a non-profit 501c(3) organization based in Elko, Nevada. Please consult with your attorney or tax advisor for the various tax benefits and restrictions that may apply to any contribution to the Western Folklife Center on behalf of the National Cowboy Poetry Gathering. No goods or services will be provided in exchange for your contribution. Photo credits: Della Johns, courtesy of Ginger Manley; Singin' Sam Agins, courtesy of the Agins Family; Rod McQueary and Sue Wallis, photographer unknown; Buck Ramsey, photo by Meg Glaser.